All required/recommended vaccines can reduce the disease burden in school-aged children, thus helping to assure that students will be in school ready to learn. Completely immunized school aged children are vital in protecting other more vulnerable populations from the devastating effects of the diseases that immunizations can prevent. Kansas law requires that all students, eight and under, who are enrolling in a Kansas school for the first time present health assessment information. The assessment needs to have been conducted within the last 12 months before school entry. Immunizations and health assessments are available at the Harvey County Health Department by appointment throughout the year. Appointments can be made by calling 283-1637. Upon request, services will be offered on a sliding fee schedule based on income and number of persons in the family. 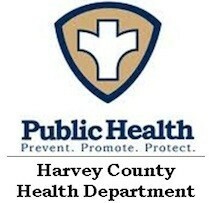 The Harvey County Health Department provides child physicals/KanBe Healthy and immunization. All insurance accepted. Call 316-283-1637 for an appointment.